With advancements in technology and new mobility options arriving in cities, the need to manage the entire public space, from the road, through the curb, and the sidewalk becomes paramount. In this session, we will hear from a dockless bikeshare operator on the public right of way, thoughts on establishing a process for future (and current) technologies in transportation, and methods to manage the curb space on the roadway for all users. In Illinois and around the country, funding for much-needed infrastructure projects continues to lag further and further behind the need. Federal transportation funding has failed to keep up with the need, and states like Illinois have struggled to fill the gap. Meanwhile, the unfunded infrastructure backlog continues to grow. In this session we’ll hear from local and state officials who have had to get creative to advance their infrastructure priorities. Beth McCluskey from Illinois Department of Transportation will discuss the many parties that have come together to move the CREATE program forward, including hundreds of millions in contributions from private railroads. Maria Choca Urban from the Cook County Department of Transportation and Highways will talk about using value-capture and other revenue sources to bring new funding to County transportation facilities. And Bill Hanna from the Northwest Indiana Regional Development Authority will discuss how state and local agencies in Indiana came together and built a coalition to help fund two major expansions to the South Shore Line, which rank among Indiana’s highest priority transit projects. Freight planning entities are using more data driven and innovative approaches to assess current conditions and plan for the future. At the same time, rapid technological advancements make this already challenging task even more difficult. This panel will discuss modern freight planning and the impact that technology, such as truck platooning, will have on the freight industry, municipal infrastructure, and future plans. 1) what does ridership data tell us is actually happening? 2) what are some of the primary drivers behind what we find in the data? 3) what can or should agencies and other relevant stakeholders do about these trends? What's happening with transit ridership? The Illinois Department of Transportation (IDOT) and Chicago Department of Transportation (CDOT) initiated the North Lake Shore Drive (NLSD) study in 2013 to “Redefine the Drive” and improve NLSD from Grand Avenue to Hollywood Avenue. This project involves multi-modal improvements including enhancing modal connections, improving the mobility for various travel modes, increasing safety, fixing facility deficiencies, and improving accessibility throughout the thoroughfare. The study, and overall planning process, is guided by the Project Study Group (PSG).which is comprised of representatives from multiple agencies. This presentation will cover the various needs and transportation modes on the corridor, discuss how to balance and plan for these seemingly competing interests on a historic boulevard, and provide a project update. Representatives from the PSG will discuss their role on the project, coordination within the PSG, and any significant issues encountered throughout the process. The best way to predict the future is to create it. Automous vehicles and other “future” technology is fast approaching. As transportation decision makers, planners, and practitioners, it falls upon our shoulders to integrate new technology into our existing transportation systems. Yet as we’ve learned through similar paradigm shifts, it is important not only to manage and respond, but to proactively understand the potential and implications of technological change, and craft robust policies and frameworks to guide the transition. Several transportation solutions are being pursued or have been suggested to address the mobility needs of the Far South Side of Chicago and South Suburban Cook County. The speakers will share their insights and opinion on the merits of the different projects. For years, South Siders have expected the construction of the CTA Red Line extension to bring rapid transit service to Chicago’s neighborhoods south of 95th Street. The CTA published the Draft Environmental Impact Statement (EIS) for the project in 2016 and is moving forward with the next phase of the project, which includes Final EIS and Preliminary Engineering. However, identification of funding for construction remains a challenge due to limited federal New Starts and local funds. Other south side advocates have recently argued that changes to the Metra Electric Line would be a better investment due to the cost savings of having much of the infrastructure already built. In addition to rail projects, Bus Rapid Transit is also being explored as a potential solution for meeting the mobility needs of different transit markets in the area. We expect our buses and trains to get us where we need to go, when we need to get there in a timely and comfortable fashion. How does it all happen? Transit 101 goes behind the scenes as professionals in the field describe the process of creating transit plans, fulfilling these plans through scheduling, and managing these assets to insure they are used as efficiently as possible. Exploring the relationship between mass, public transit and the personal automobile, Sam Kling from UIC’s history department will show how the City of Chicago deliberately prioritized the car early on and the lingering affect this has had on the City. Following this, presenters from CMAP and Sam Schwartz will address the city’s current parking outlook and, finally, discuss the future role transit will play in attracting and serving potential large-scale employers such as Amazon’s HQ2. Did the Automobile Kill the Plan of Chicago? 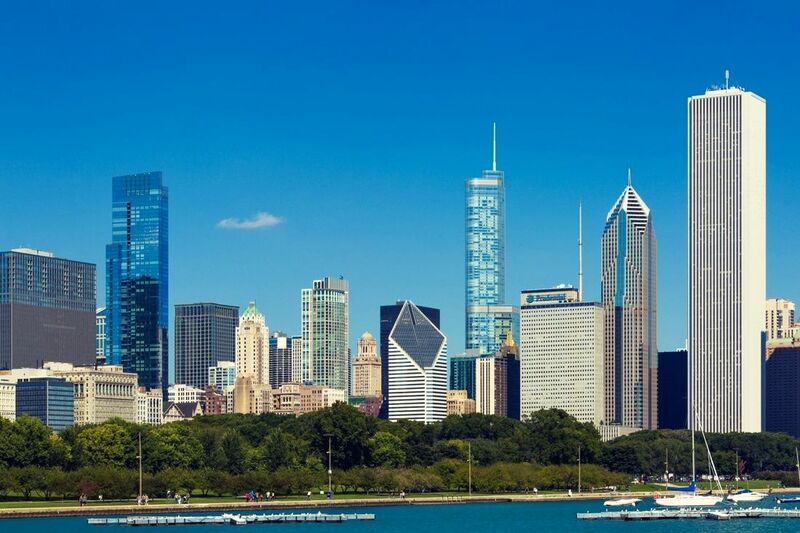 Providing high-quality transportation facilities and services requires a cross-functional team -- especially in Chicagoland, with its myriad of municipalities, transit service providers, DOT’s, community groups, and other agencies and organizations. In this session, presenters will discuss how their agencies work together to creatively leverage funds, engage communities, and design projects that advance regional goals and improve mobility across borders. Representatives from four agencies will present a range of projects involving infrastructure, intelligent transportation systems, land use and bus service restructuring. This panel session addresses outreach methods in disinvested communities. Kendra Freeman will present on how MPC, in partnership with the Cook County Land Bank Authority, facilitated a series of three workshops in January and February to get resident input for the redevelopment of the vacant bank building at 63rd & Cottage Grove. The Corridor Development Initiative (CDI) provides a hands-on opportunity for residents to "build" what they would like to see and test whether such projects are financially feasible. In total over 250 people participated in the process and voiced their priorities for potential uses at the site through small group discussion, key pad polling and building out potential scenarios for rehab or new construction. Roberto Requejo will present on Elevated Chicago, a partnership of organizations committed to transforming the half-mile radius around transit stations into hubs of opportunity and connection across our region’s vast transit system. Elevated Chicago views station areas as optimal locations where arts and culture, urban design, social programming and development can converge in order to address the region’s deeply rooted disparities in racial equity, with a focus on public health and climate resiliency outcomes. Audrey Wennink will present on The Cost of Segregation study which quantified the impacts of segregation in Chicago, and outline equity-oriented transportation strategies to address inequities in Chicago. Attendees will come away with new approaches to conducting outreach amongst populations that have been historically underrepresented in transportation planning including low-income populations and communities of color. How Can we Improve Transportation Equity in Greater Chicago?